Our ultimate goal is to assist you in achieving and maintaining a healthy, happy smile for life. Enhance form, function and appearance of you smile. Straighten your teeth, correct your bite and gain a healthier smile. Our comprehensive range ensures all your dental needs are met. Invisalign is the solution that straightens your teeth without the need for braces. ZipMoney allows you to pay for your treatment with flexible monthly payment plans. Refresh and restore both the appearance and feel of your teeth while maintaining a natural look. We’re passionate about creating happy, beautiful smiles for people of all ages. While doing this, we also want to ensure that your visit is a calm and relaxing one. We’ll make sure you feel relaxed and at ease in our custom designed Point Cook practice. Is there something about your smile you’d like to change? To achieve your dream smile, we provide the highest standard of dental services, combining state-of-the-art technology and years of professional experience. We look after all your dental needs, from general check-ups to orthodontics and dentures, and at the same time, we are committed to making you feel relaxed, well-informed and part of the decision making process. Dentistry, at its core, is about helping patients keep their natural teeth for life because prevention is better than a cure and much better than having to undertake dental restorations. However, if your oral health has been neglected, our restorative treatments can bring back a healthy, natural-looking smile. If you are concerned about the appearance of your teeth, cosmetic dentistry is a fantastic option with immediate results, adding an instant lift to your smile. Whether it’s the colour, shape or positioning of your teeth that is bothering you, we have a range of options that are available to you. 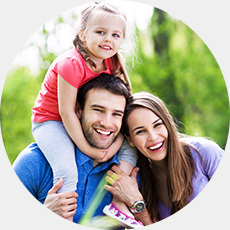 If you are looking for a reliable dentist that you can trust, Iris Dental is here to help. With a primary focus on quality dental treatments combined with an unsurpassed level of care, the team here at Iris Dental always has your best interests in mind. 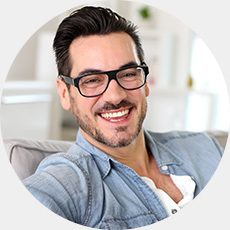 Your smile is one of the first things people notice about you and Iris Dental is here to help you keep it healthy and appealing. 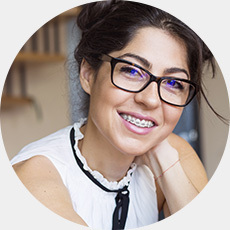 Whether you are looking to beautify, straighten or restore your smile, we have a wide range of treatments so that whatever your dental needs, we cater for you.